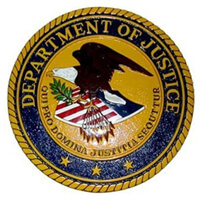 The Department of Justice (DOJ) Declassification and Controlled Unclassified Information (CUI) program has a base period of performance from date of award through September 30, 2018 plus four one-year options, and a maximum potential value of $2.7 million if all options are exercised. Under the contract, our team and partner support all DOJ declassification initiatives including Document Declassification and Controlled Unclassified Information (CUI) Program Support Services. – we are responsible for providing classification management program support for the Department’s CUI programs. The areas of support include drafting program guidance and procedures, program and project planning, and the development and delivery of program training material.